I am like most of you that read my posts. 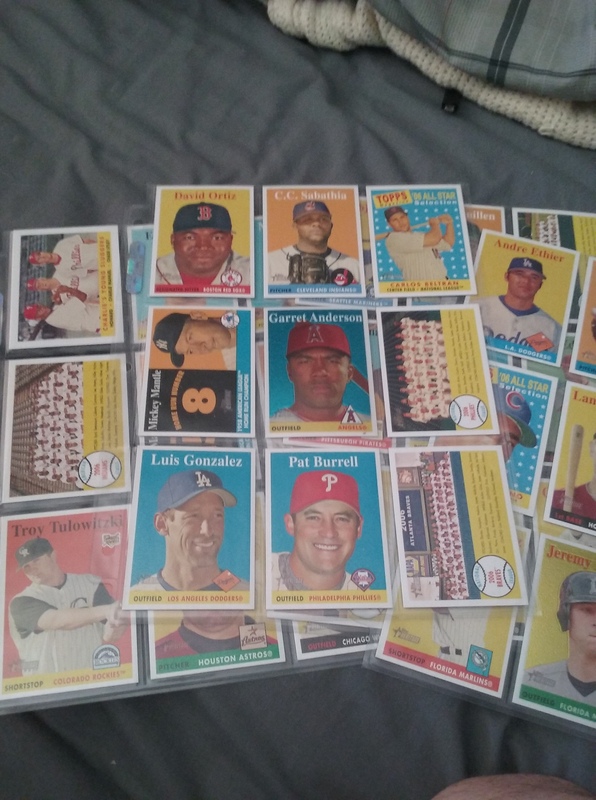 I am the only person who collects sports in my group of friends-with the exception of the owner Valley Sports Cards who I consider a friend. Usually that means breaking their hearts on questions related to the value of the cards they have sitting in storage. Occasionally that means that I become the dumping ground for cards when they are cleaning stuff up. I am not complaining because it means that I am in their thoughts. My buddy did just that recently. 2007 Heritage. The Anderson and Hermida are numbered to 1958. I am going to offer the Anderson back to my buddy because he is a diehard Angels fan. I liked getting a Luis Gonzalez card from his forgotten year with the Dodgers. Also got a Tulo rookie card in the haul. Opening Day 2007. I thought that Heritage would be my favorite from him but these cards were my favorite of the two series that were in this haul. While there were no game used, numbered, autographs, or even any good rookies; there was a lot to love here. Mike Piazza in an Athletics jersey, Diamond Stars inserts, mascot cards, and cards that were part of a puzzle. Overall not a bad haul. 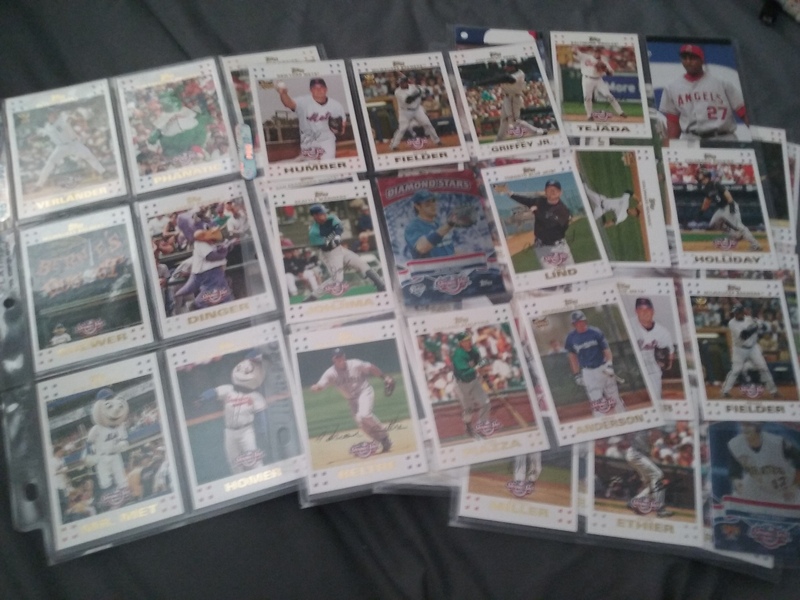 Considering, I was initially just happy to get the Ultra Pro binder pages for other cards, I was pretty happy. I was expecting to just be another cog in the ownership cycle for these cards but I am actually going to keep a lot of these.